No. 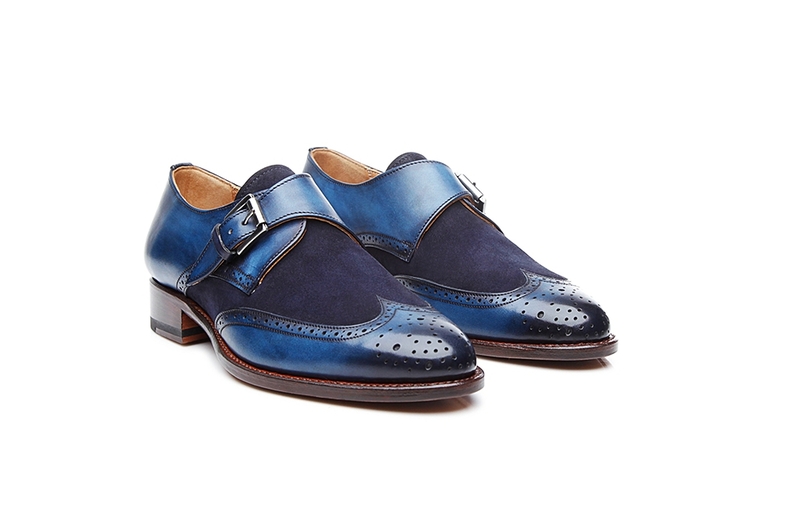 1155 is a classic Goodyear-welted women’s monk strap that thrills with its visual appearance and practical features. 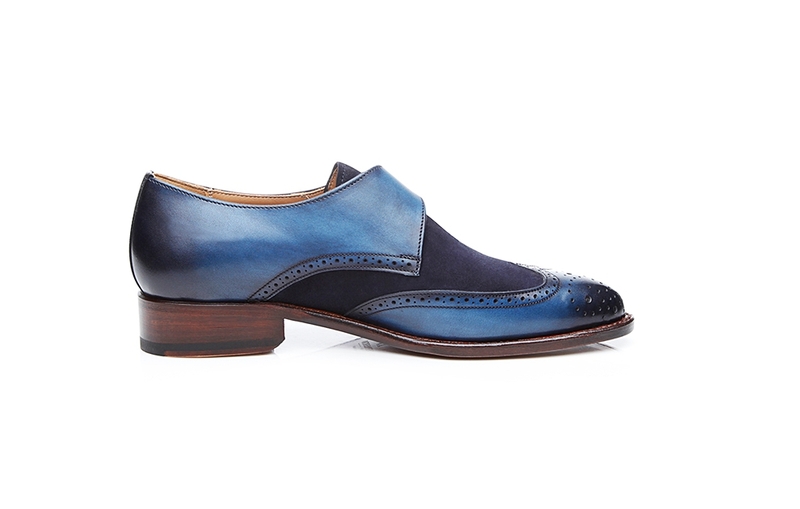 Created partly from vegetable-tanned soft calf leather, partly from velvety soft velours, this shoe enchants with its dark blue coloring, further refined by an elaborate hand finish. 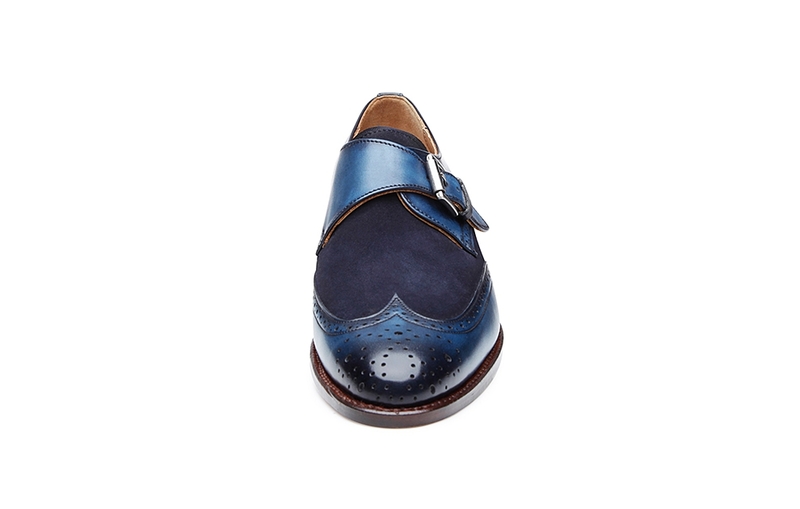 The soft calf leather on the toe cap is graced with an extensive perforation pattern, unmistakably influenced by a classic full-brogue. The same perforation is also found on the sides of the shaft. 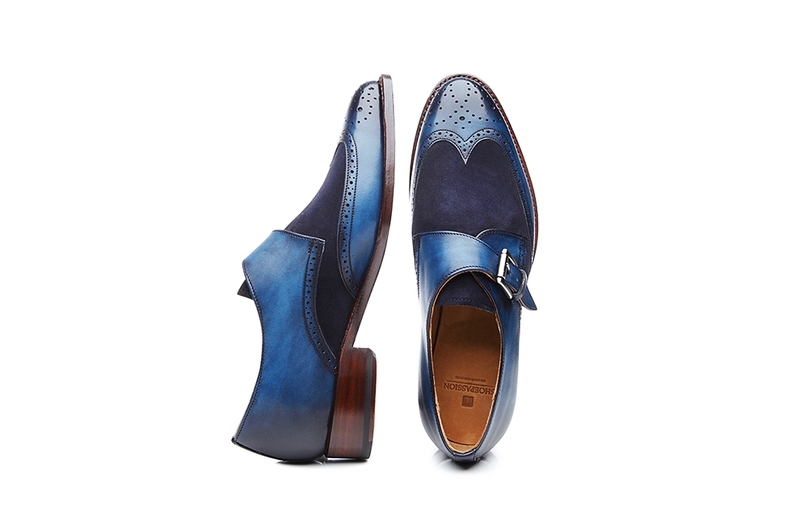 The vegetable tanning process to which the smooth leather has been submitted allows for intense colors and forms the basis for the elaborate hand finish. Applied by hand in our Spanish manufactory, this process results in fascinating contrasts and shadows on the smooth calfskin pieces. 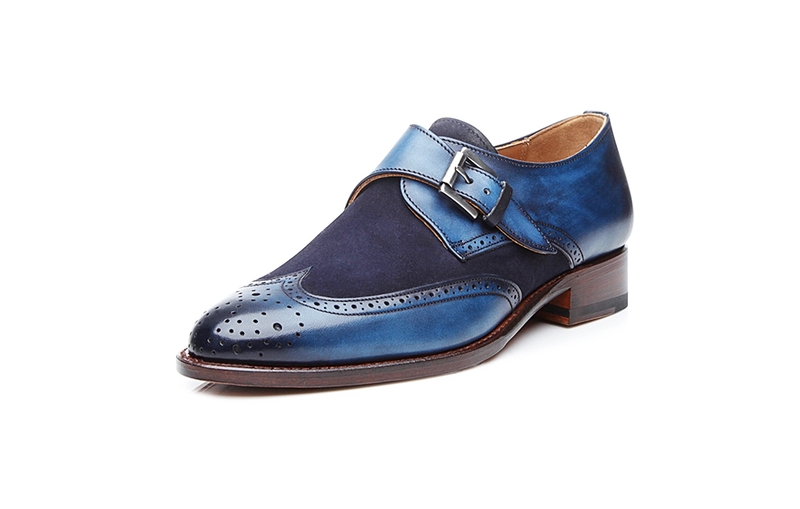 On the other hand, the middle section of the shaft thrills with dark blue velour leather and lends this monk strap for women a mesmerizing dynamic. 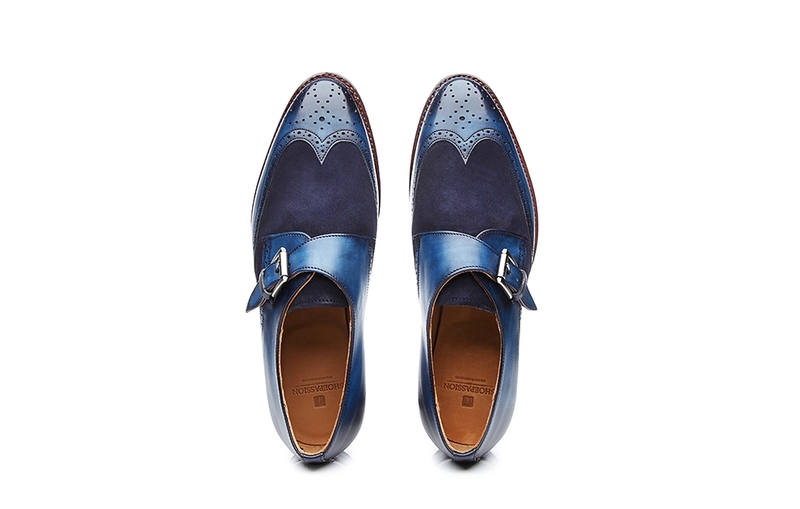 Thanks to the premium leather of its lining, insole, and outsole, as well as its Goodyear-welted design, No. 115 captivates with its flexibility, exceptional breathability, and durability. 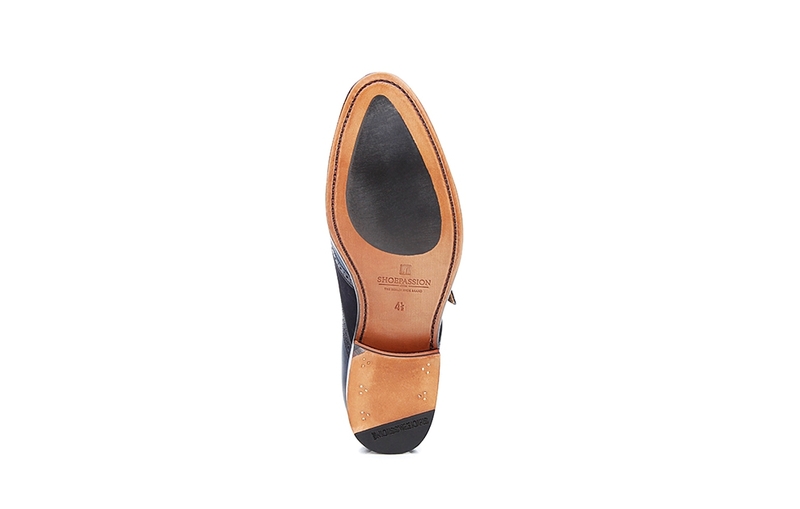 As a functional update, we’ve added a rubber sole insert to the forefoot area of the leather sole, giving this dark blue women’s monk strap improved stability, even on wet or slippery surfaces. 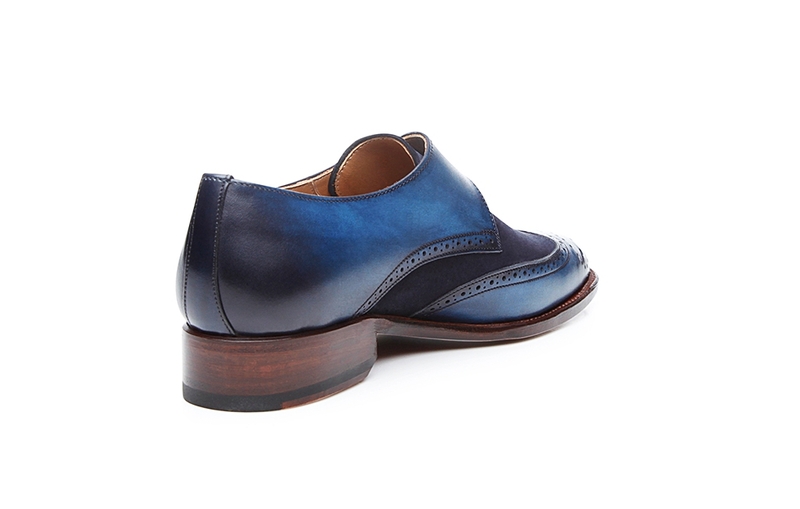 A buckled shoe whose basic design is similar to that of a Derby. 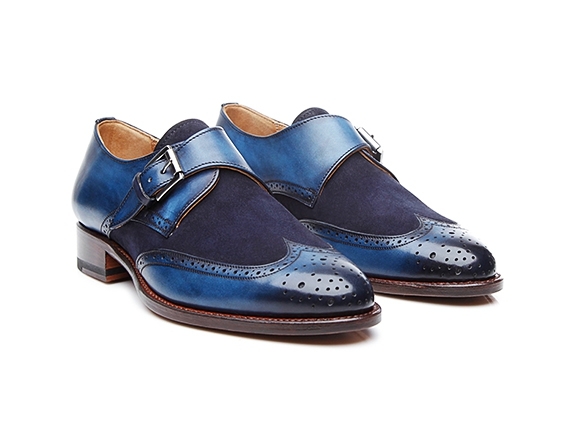 The quarters on this monk strap are held together by a distinctive, opulent buckle. 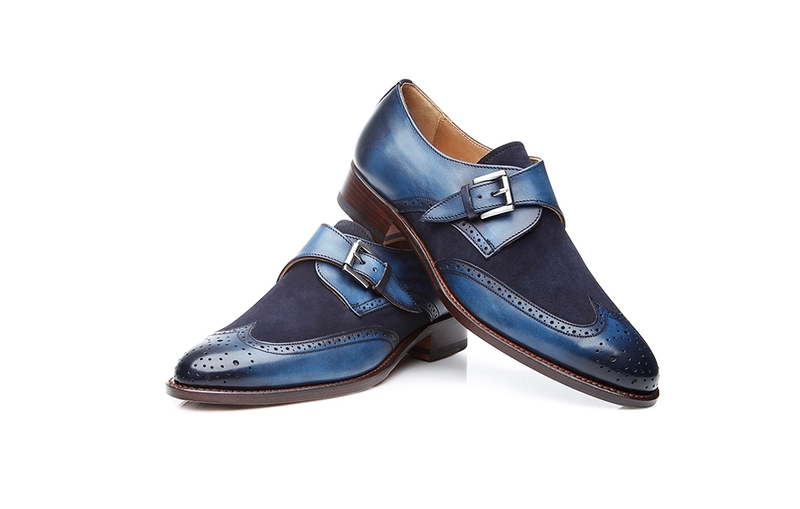 Thanks to its unconventional look, the monk strap enjoys great popularity. 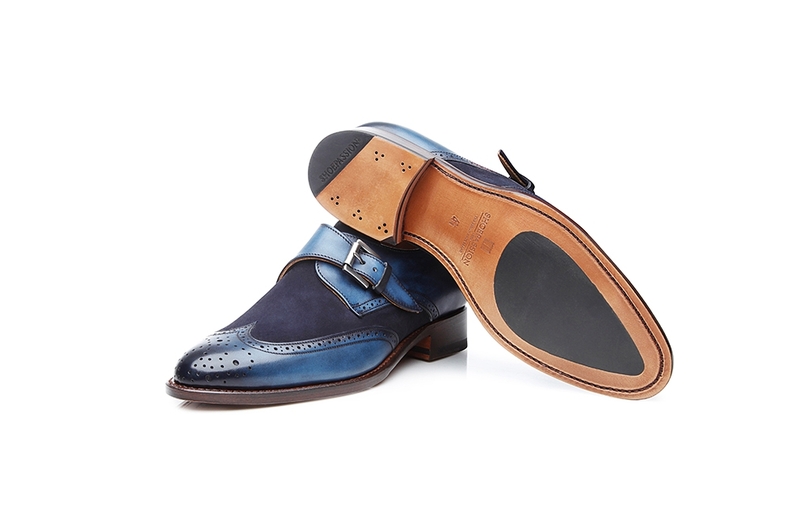 Our French Last is defined by a narrowly tapered front section and a comfortably wide midfoot area. 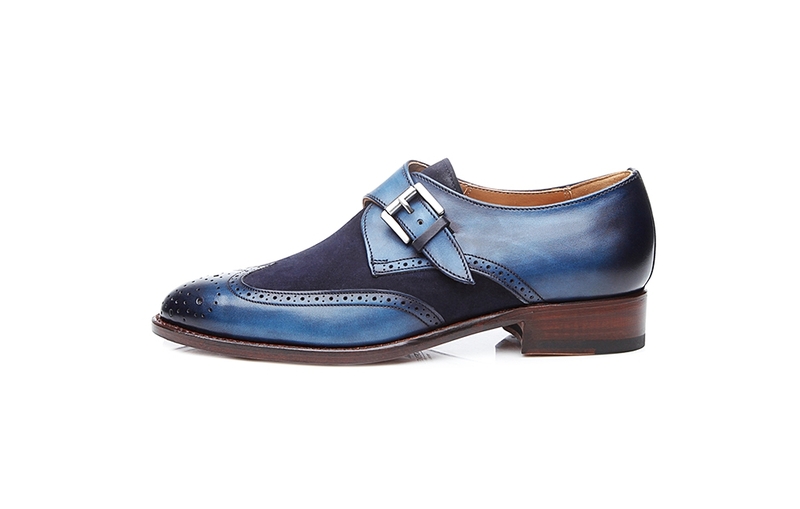 Energetic and feminine, this elegant last is suitable for both average-width and narrow feet. 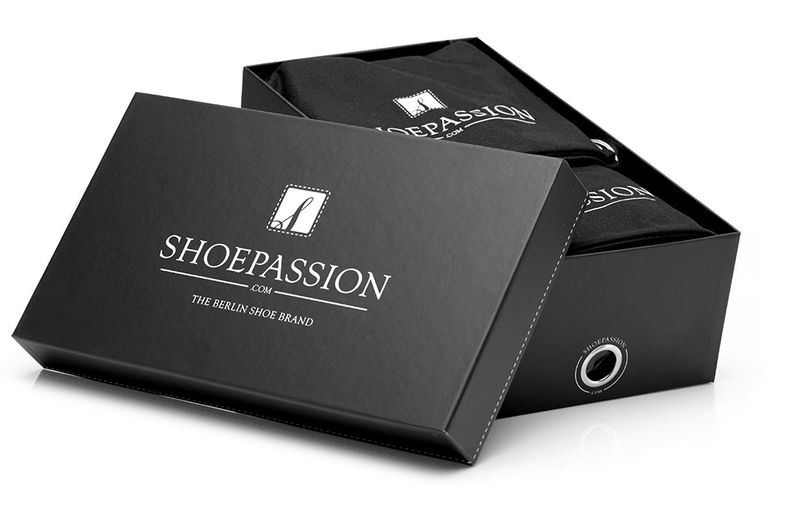 This model has a rubber insert in the forefoot area to keep the shoe in mint condition and ward off wear and tear. 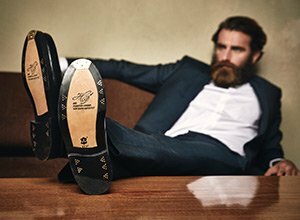 Enjoy the natural advantages of a leather sole and benefit from the durability and reliability of rubber.